We so often hear the phrase that if you want different results make different choices. That adage is true if your choices are incorrect, but what if you are already doing the correct things but don’t feel like you’re getting results? In Luke 5 Simon (Peter) had been fishing all night but didn’t catch anything. Fishing was his livelihood and I imagine that nights that they didn’t catch any fish were difficult. Master, we have toiled all the night and have taken nothing: nevertheless at thy word I will let down the net. I can just imagine Peter, he is probably frustrated because he’s been doing that all night with no result. I have felt like that so many times. I have made the same good choices over and it can still feel like I don’t get results. 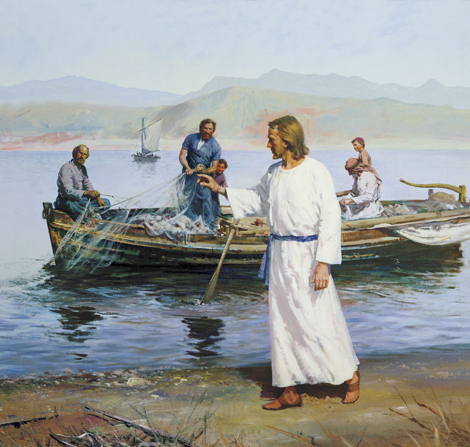 The chapter continues and tells us that when Peter followed the council of Jesus and cast his net on the other side of the boat they caught so many fish their net broke and they filled two boats with fish to the point where they started to sink. So what is it that made the difference between the whole night of no fishing and doing the same actions and catching so many fish the boats were overfilled? What is the difference between making good choices and making righteous choices? The difference is Jesus Christ. The same actions and same good choices will yield different results if we do them while taking upon ourselves the name of Jesus Christ then if we do it by ourselves. 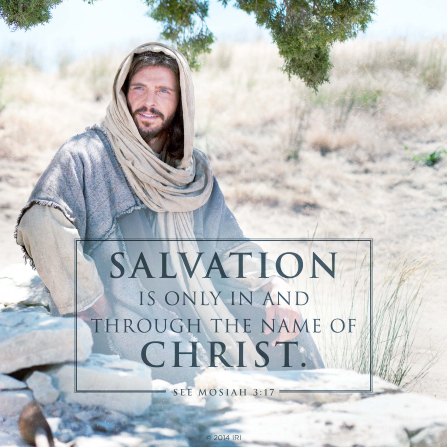 So how do we take upon ourselves the name of Jesus Christ? When I got married forever ago I gave up my fathers surname and took my new husbands surname. Although my name had officially changed, it wasn’t comfortable yet. I didn’t answer to it yet. Then there came a strange transition period where both names felt slightly uncomfortable and it was hard to remember which one was right. But as I was called by my husbands name and responded to it I gradually became comfortable with it. There was no longer any hesitation or question when I heard it because it became not only the name of my husband, but it was now my name as well. The difference between good actions and righteous actions is answering to the name of Jesus Christ and remaining worthy to act in his name. Then we act with his authority and power. Look at the example of service: So often we engage in service because we are desperate to find ourselves and we know if we want to find ourselves we need to lose ourselves in the service of others. That service we engage in is good, but sometimes we still end up feeling overwhelming and we still aren’t closer to finding ourselves. There is a big difference between serving in the name of Jesus Christ and serving without it. Service is always good, but if you serve without taking upon yourself the name of Christ you risk truly losing yourself. Only when you serve in the name of Jesus Christ, only when your ultimate goal is to serve Him and serving others is a means to that ultimate goal, can you find yourself in service. You find yourself because you are serving with a balanced life in His name. When we act in his name those same good choices become righteous choices that yield result, both in personal blessings and in building up the kingdom of God. We learn what it feels like to act in His name and thereby we learn more about Him. We become His.